Geosysta participated in the 14th International Sumposium of continuous surface mining (ISCSM 2018), held on 23-26 September in Thessaloniki, Greece, where professionals from all over the world presented their work and discussed the latest developments on continuous surface mining. 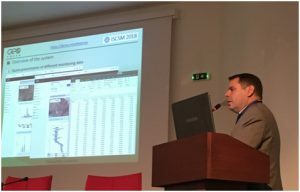 “A cloud-based real-time slope movement monitoring system”, where a robust cloud-based data management software application which is called Minefeed was presented. 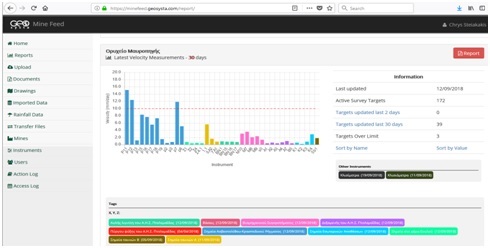 This application collects, stores and analyses any type of monitoring data and is used by the Public Power Cooperation to monitor all its mine slopes. The system incorporates a vast amount of data such as target survey measurements, inclinometers, piezometers, tiltmeters etc. This geotechnical monitoring system has evolved over many years and has been successfully used for slope monitoring in large surface mines. 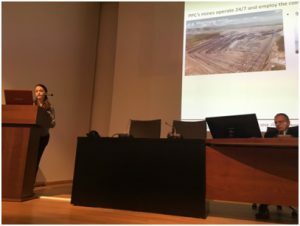 The presentation was made by Chrysanthos Steiakakis, Civil and Mining Engineer, MSc, Co – Founder and CEO of Geosysta. “A Real-Time Event-Driven Database System for Maintenance Planning and Productivity Analysis in Continuous Surface Mining Operations”: This paper presents a real-time event driven data management application, which was developed for the surface lignite mines in northern Greece by Prof. Agioutantis and his colleagues. The mines operate using a continuous mining system, utilizing bucket wheel excavators, conveyor belts, spreaders and stackers. Each mine features its own control center installation comprising of PLCs, Aspect Servers, OPC servers and a SCADA system. The data management system is installed on the network backbone and draws data from the OPC servers. 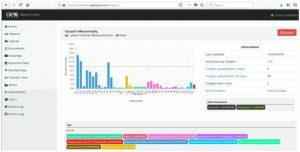 Data are then modified by control tower personnel and are used to generate reports for production monitoring, equipment performance and utilization as well as maintenance tasks. The system has been operational since 2011. Stamatini Delmadorou, Civil and Structural Engineer, MSc at Geosysta presented this data management system.